With the Women In This Town book now available worldwide, I would love to share with you the final excerpt from the book, my interview with Ros Lee in Tokyo. Only 1 more week until the Women In This Town book is out worldwide! Here’s the second last excerpt from the book, this time from Hayley Hughes’ profile in Melbourne. Just about 2 more weeks until the Women In This Town book is out worldwide! Today, I wanna share an excerpt from Louise Brody’s profile in Paris, one of my favourites! I’m really excited to continue my new series of Men In This Town profiles in collaboration with Sydney based wine start-up Bootleggers; a father and son team combining their expertise to bring a new approach to importing quality foreign wines to Australia. 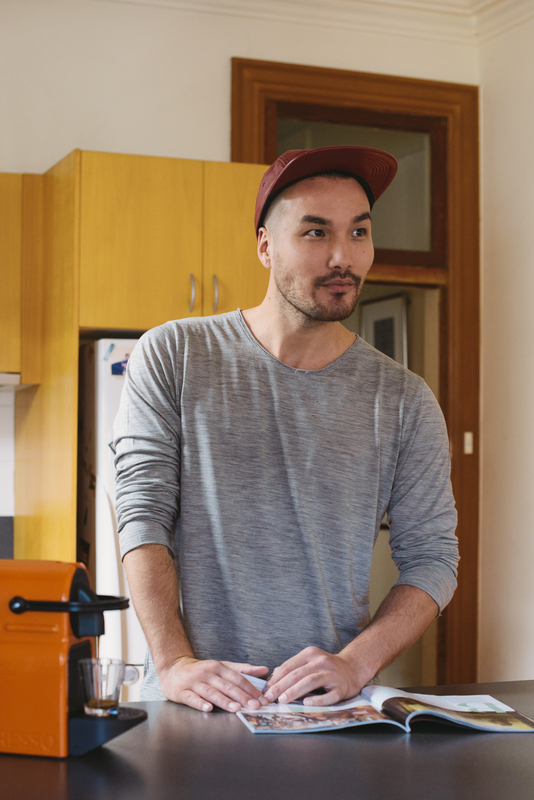 The series focuses on how Australian men are expressing their personal style and taste through fashion and wine. Fifth up, one of Sydney’s top tailors who knows how to keep it real, Roger Shamoun. We chatted about making his own clothes and why he doesn’t do white. Another special wine that Bootleggers imports is the 2008 Dal Forno Romano Amarone della Valpolicella retailing at $549 a bottle. And if you live in Australia, they’re planning exclusive free tastings in the coming weeks. Register now at the Bootleggers website to have the chance to attend what is sure to be a sartorial inspired night with some pretty damn amazing wine. 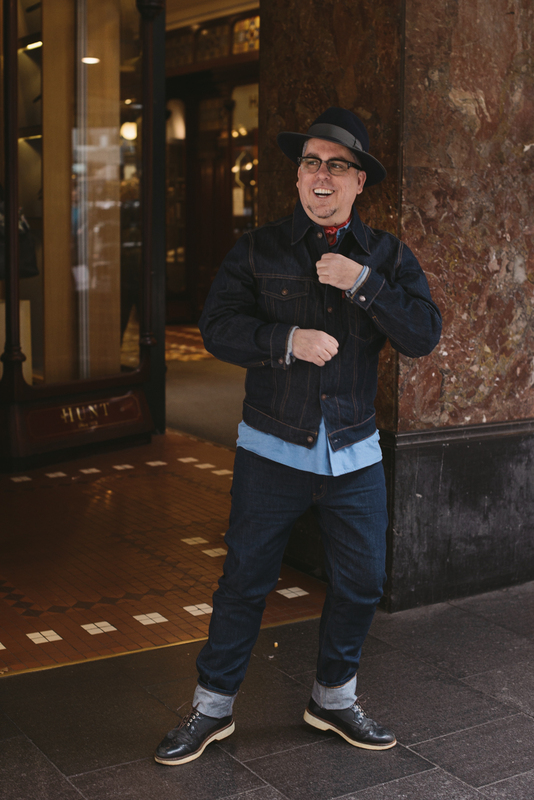 Fourth up, a man whose caught my lens a few times on the streets of Sydney, fashion consultant David Bush. We chatted about what makes up his wardrobe and his long time love, lady red. 2007 Il Paradiso Di Manfredi Brunello Di Montalcino. Second up, a good friend of mine, 33 year old creative Samuel Booth. 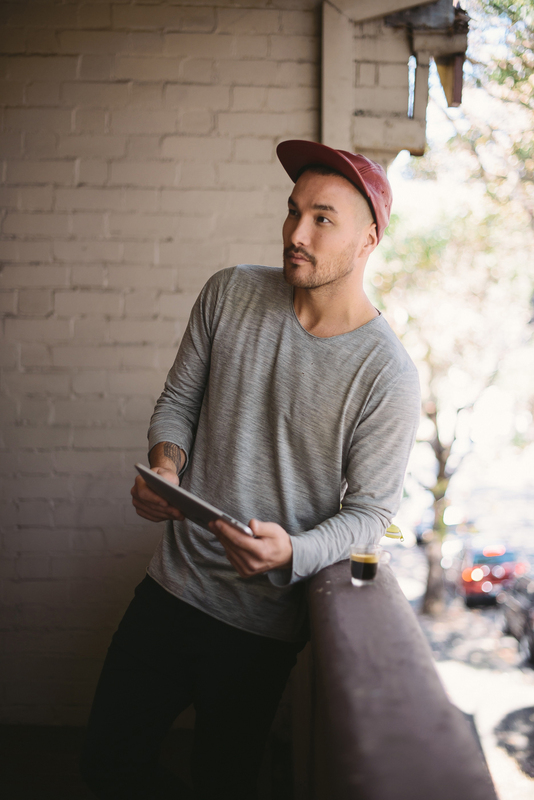 Working in the culture and creativity industry in Sydney, Samuel’s styles are more of a throwback to his days growing up in the Adelaide Hills in South Australia. I’m really excited to introduce a new series of Men In This Town profiles in collaboration with Sydney based wine start-up Bootleggers; a father and son team combining their expertise to bring a new approach to importing quality foreign wines to Australia. The series will focus on how Australian men are expressing their personal style and taste through fashion and wine. First up, the men who started it all, Peter and Benjamin Hasko. 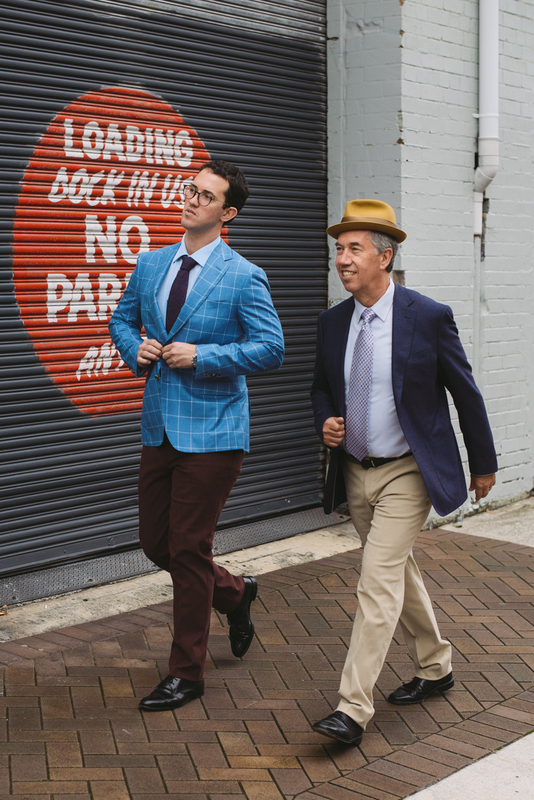 I had the opportunity to spend some time with them at LP’s Quality Meats in Chippendale to talk about what inspired the father and son to start Bootleggers and how their personal style and favourite style in wine match up. 2008 Dal Forno Romano Amarone della Valpolicella. One special wine that Bootleggers imports is the 2008 Dal Forno Romano Amarone della Valpolicella retailing at $549 a bottle. And if you live in Australia, they’re planning exclusive free tastings in the coming weeks. Register now at the Bootleggers website to have the chance to attend what is sure to be a sartorial inspired night with some pretty damn amazing wine. 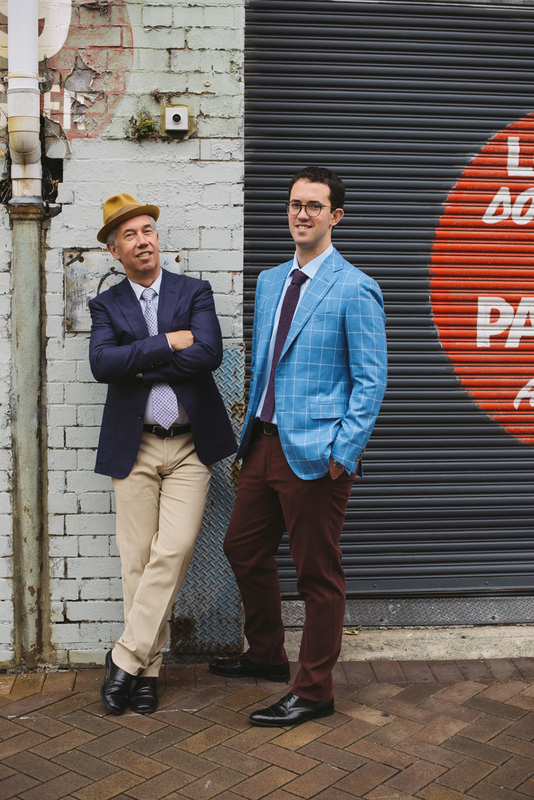 An extract from the Men In This Town book with Jeffrey Costello and Robert Tagliapietra. 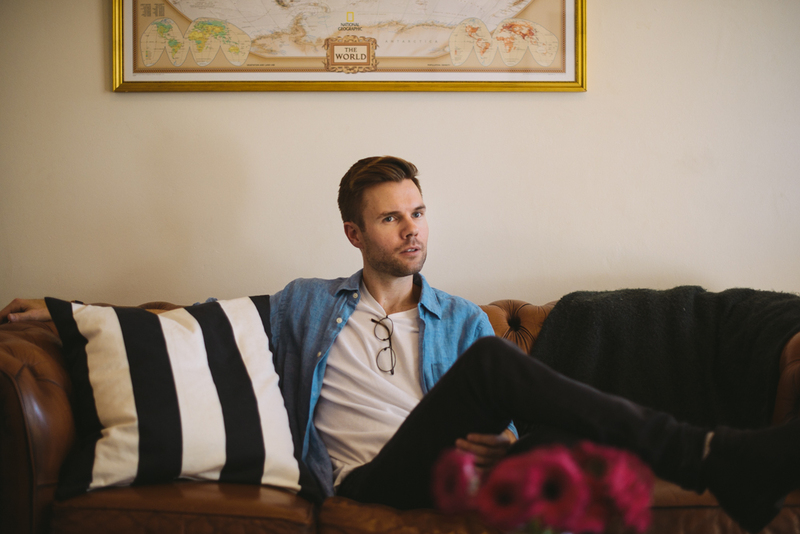 An extract from the Men In This Town book with Dan Rookwood. “Sometimes I feel like one of those young DJs from the 80’s in a record shop but instead of flipping through records I’m flipping through fabrics”. We had some great conversions about life and captured a bit of it in the video below. 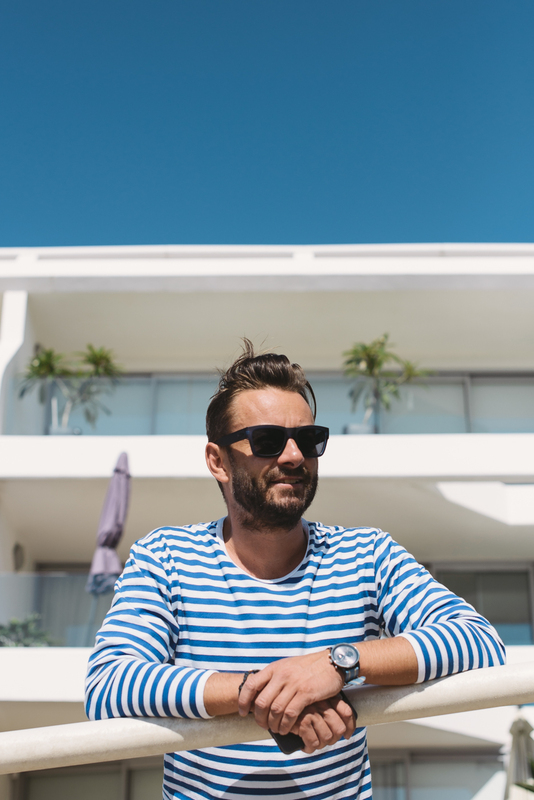 One of the great things about Sydney are its beaches and if you’re lucky enough to live by one, as interior designer Jason Grant does, it’s easy to get use to shorts and a t-shirt. Check out our conversation below.